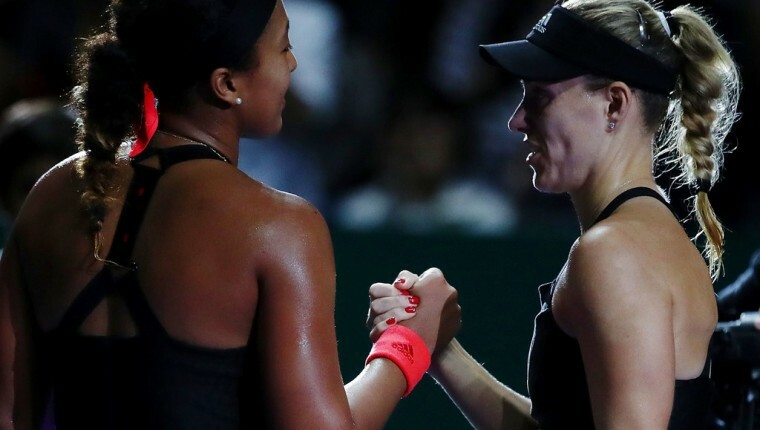 In the lone round-robin match on tap between two 2018 Grand Slam champions this week in Singapore, top seed and Wimbledon champion Angelique Kerber outlasted No.3 seed and US Open winner Naomi Osaka in Wednesday action from the Red Group, 6-4, 5-7, 6-4. 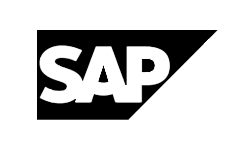 The German needed two hours and 30 minutes to pull her record to an even 1-1 in round robin action at the BNP Paribas WTA Finals Singapore presented by SC Global, as she was unable to serve out the match in the second set while leading 6-4, 5-4. Osaka did not allow her to reach match point and sent the fifth career match between the two to a decider by winning three straight games. Nonetheless, the Japanese No.1 dropped to 0-2 on her WTA Finals debut after losing a crucial break in the seventh game of the final set from 40-15 up, and was unable to convert break points in two separate return games in the decider. “Naomi is such a great opponent. She played unbelievable and I think we both played on a really high level tonight,” Kerber said on-court after the match. Kerber converted six of her nine break point opportunities in the match overall, outlasting 42 winners off Osaka’s racquet. Despite six aces, the US Open champion’s first-serve percentage decreased in each set, and she landed just 44 percent of her first serves in the final set. 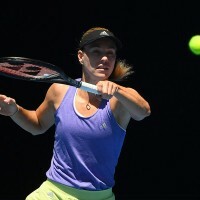 Conversely, the German saved 13 of the 18 break points she faced on her serve, and her patented brand of counterpunching tennis led the No.3 seed to commit 50 unforced errors over the course of three sets.